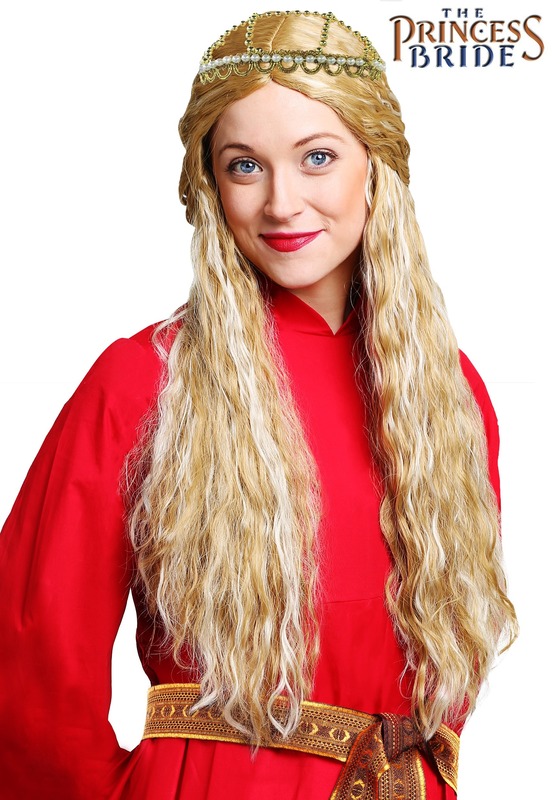 Dress up as the coolest fantasy couple for Halloween this year with Princess Buttercup and Westley Halloween costumes from The Princess Bride movie and book. You know how hard it can be to get men to dress up in a couple costume. Make it easier on yourself by picking the very cool character of the Dread Pirate Roberts for him to wear. He will look dashingly handsome and very cool at the same time. 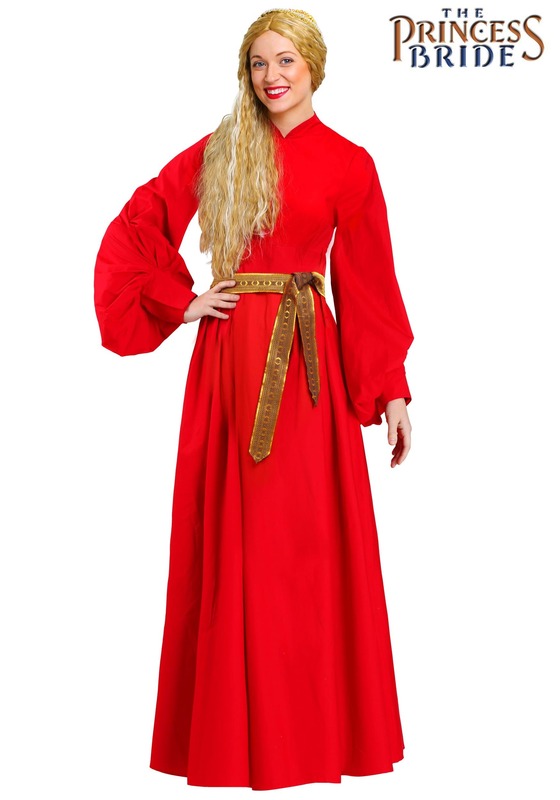 Dressed in the very recognizable black and red outfits worn by Buttercup and Westley in the movie, you will make an eye catching fantasy pair. Come see how to get your look. What could possibly make a more eye-catching and cute couple costume than dressing up as the beautiful Princess Buttercup and the dashing hero Westley, the Dread Pirate Roberts, from The Princess Bride. This is one couple that pretty much everyone aspires to be. Buttercup and Westley costumes are available although it can work out less expensive and also look better to put your own outfit together using a mix of clothes that you already have and a few accessories. Rodents of Unusual Size? I Don't Think They Exist! Love this take on a Westley Costume. 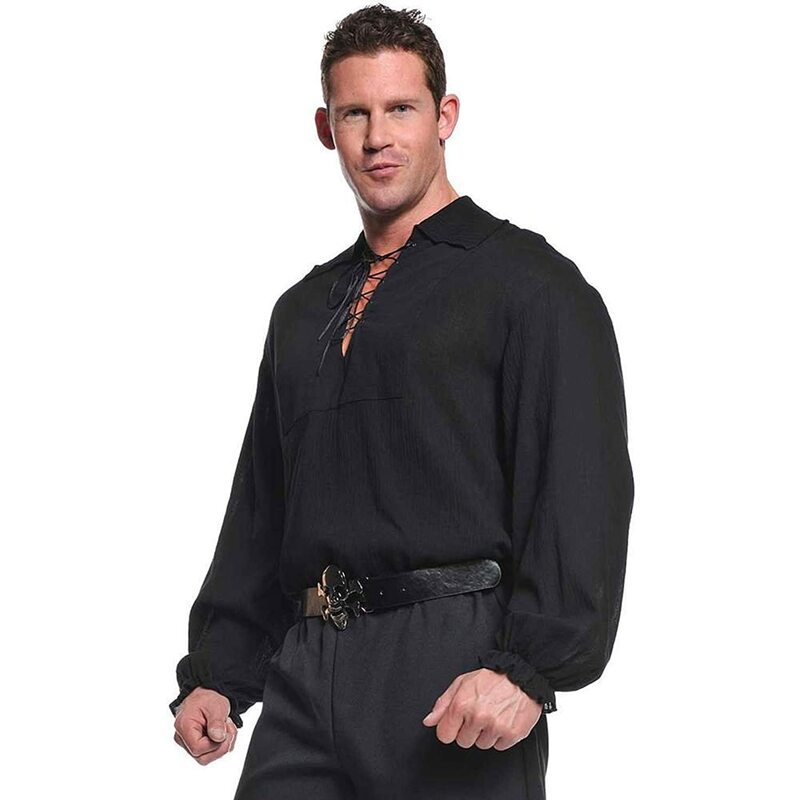 Most men opt to dress up as Westley in his black Dread Pirate gear. I mean, it's pretty obvious that most guys would rather look like a dashing and suave masked hero than a simple farm boy. There are some ready made costumes for men to wear which can transform them into this fantasy hero. However, I prefer the option of putting together your own outfit using black clothes and some essential accessories like the eye mask and head wrap. 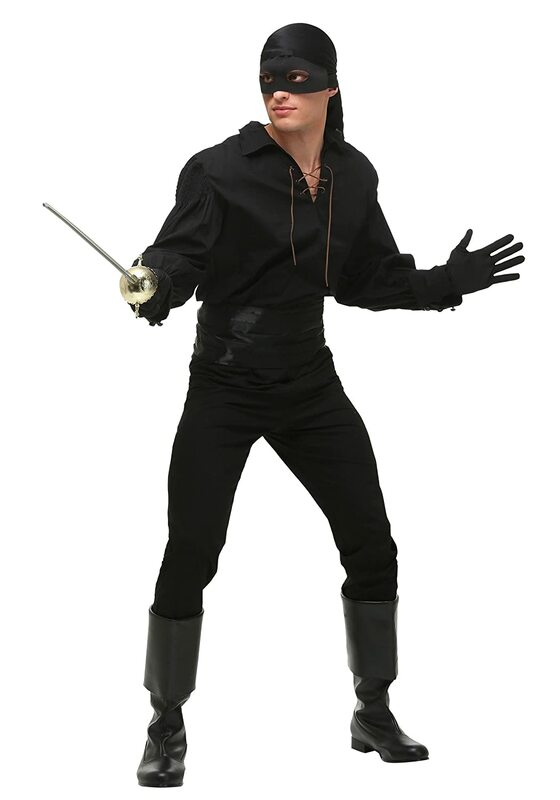 ⭐ You can buy everything that you need for a very convincing Westley costume on my complete Dread Pirate cosplay guide. I've given you a complete checklist of items that you need on that page as well as a very detailed run though of every single clothing accessory so you can get as convincing as you want to with your outfit. You can see my own DIY Westley outfit. I dressed as this character myself and, although I did a female version, you can see exactly how I put together most of what I needed with clothes I already had. There were only a few items I needed to buy in order to get the right look. Princess Buttercup has two main looks in The Princess Bride movie that would be recognizable to other fans. The main one is her red dress which is known as the red riding dress. 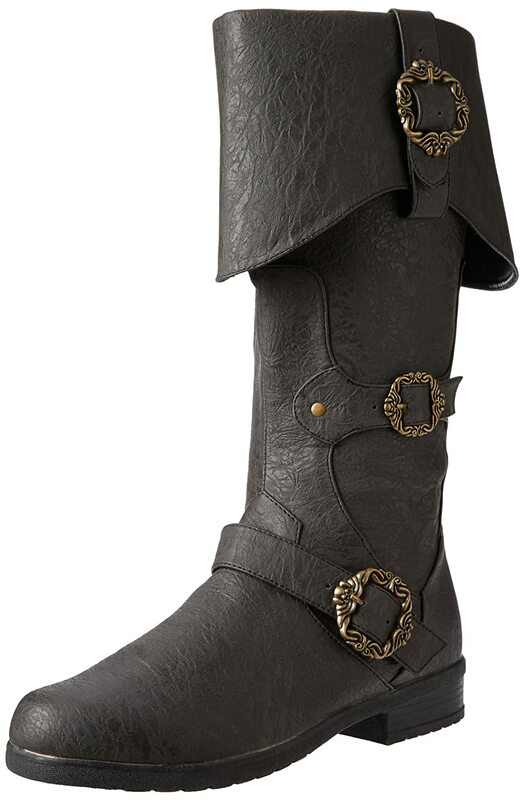 This is what she is wearing when the hero, Westley, comes to save her from the clutches of the evil genius Vizzini. In the movie version, Princess buttercup wore 7 different outfits. Her most well known one is the red riding dress costume. 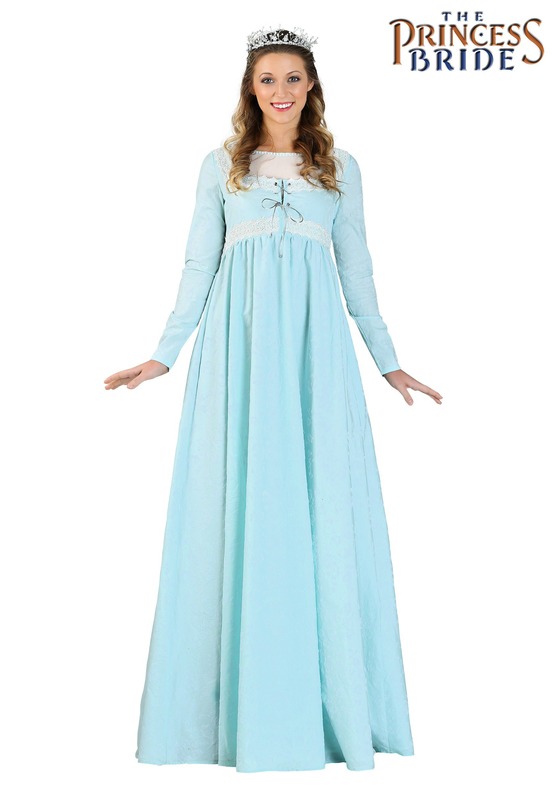 The second costume Princess Buttercup is most known for is the pale blue silky dress. This is not her wedding gown but one that she does wear prior to the wedding. Couple dressed up as Princess Buttercup in a blue dress and Westley as the Dread Pirate. If you are dressing as a Buttercup and Westley couple for Halloween or cosplay, I suggest going with a red dress or a light blue one. You can either opt to buy a ready made dress for this purpose or choose something very similar. ⭐ I show you how to get Buttercup's red dress costume look with my detailed guide. 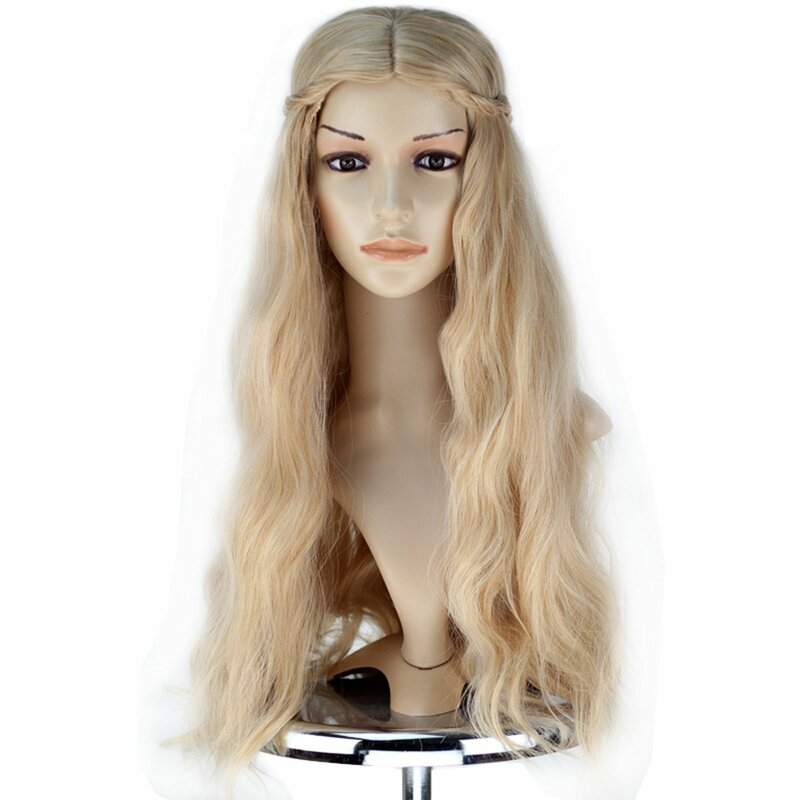 This will walk you through the dress and accessories that you need in order to get the look of this character who was played by Robin Wright. A third choice is to dress up in her elaborate wedding dress outfit, not forgetting the detailed crown style tiara that she wears. The wedding dress is in an even paler shade of blue and very intricate to look at. There are loads of fun couple costume ideas but I don't think you'll find it easy to top The Princess Bride. It's such a cool, retro movie and one that any serious fantasy fan will have seen, more than once I might add. 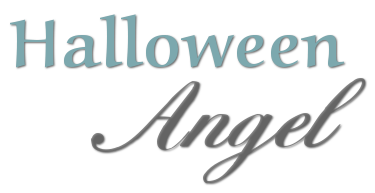 For any truly in love couple, these are the ideal choice of outfits to wear for Halloween, cosplay and dressing up parties. That's because even death cannot stop true love, all it can do is delay it for a while! Have fun.